Get ready for Mike Shinoda’s first tour as a solo artist. 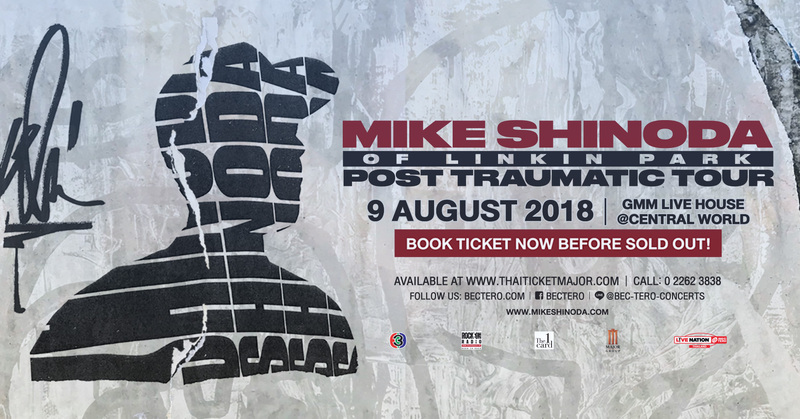 Mike Shinoda, co-founder of Linkin Park, is set to bring his Post Traumatic Tour to Bangkok on August 9, 2018 at Muangthai GMM Live House, 8th floor of CentralWorld. 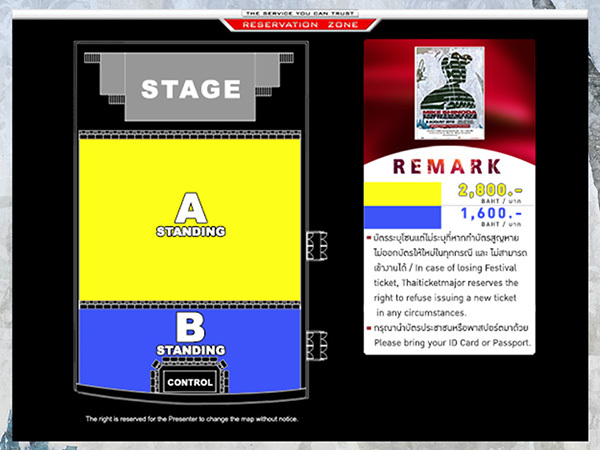 Tickets will go on sale on May 14, 2018 at all Thaiticketmajor outlets and www.thaiticketmajor.com with prices starting at Baht 1,600. Mike Shinoda is a songwriter, rapper and producer who has been a major driving force behind the global success of Linkin Park for 22 years. The American rock band has claimed several prestigious music awards, including two Grammies, five American Music awards, and ten MTV Europe Music awards. The band has sold 55 million albums which have earned them several Platinum and Gold awards. With millions of fans around the world, Linkin Park is one of the biggest names in rock music history. 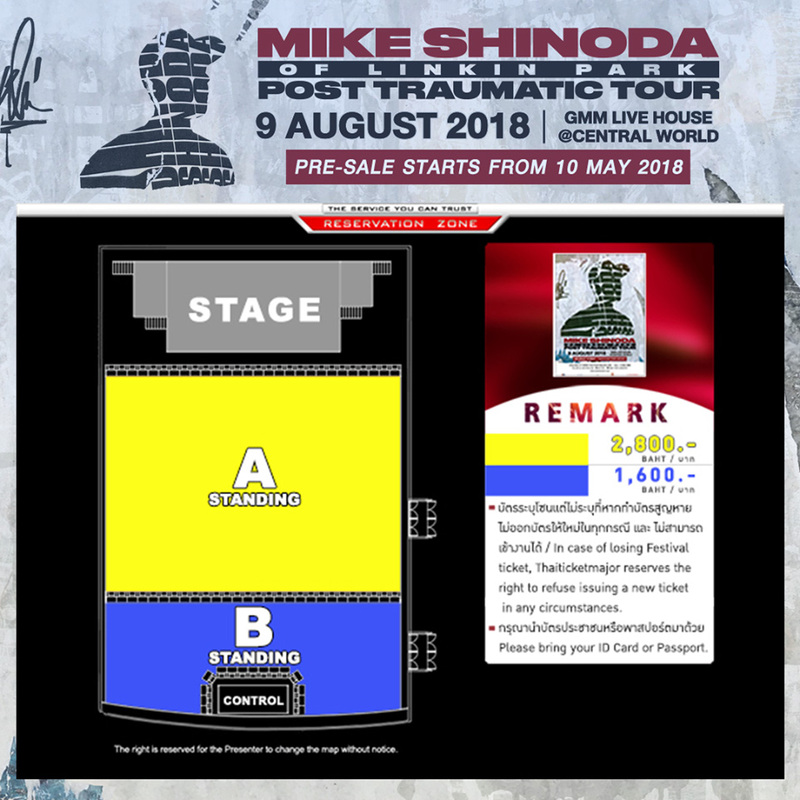 For more details of Mike Shinoda of Linkin Park’s Post Traumatic Tour, please log on to www.thaiticketmajor.com or call 0-2262-3838. 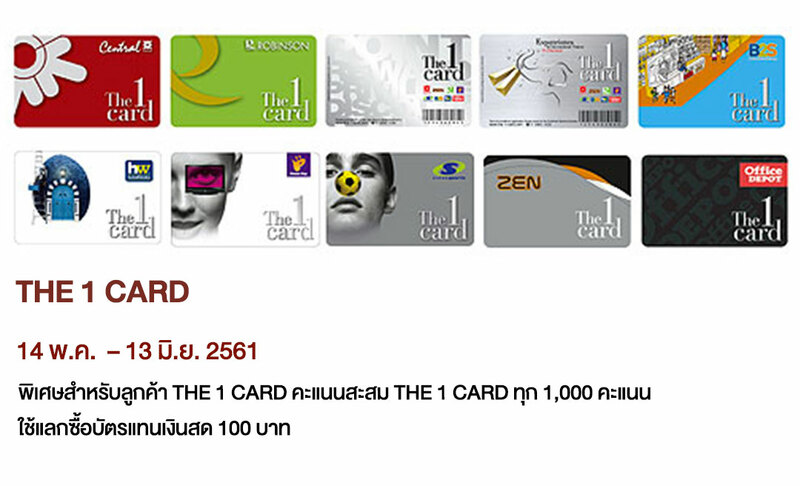 Stay tune to new updates at www.bectero.com or follow us at www.facebook.com/bectero, @BEC_Tero_Ent on Twitter and @BECTERO_ENTERTAINMENT on Instagram.